The Oz Goose Sailboat is the PHBYC’s solution in making sailboats more available and affordable, as fueled by international sailboat and boatbuilding organizations’ strong will of making sailing feasible to all Filipinos. 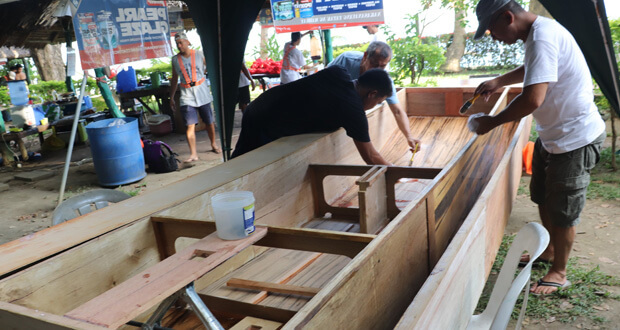 This initiative was brought through the efforts of an internet group of boating enthusiasts Philippine Home Boatbuilders Yacht Club or PHBYC, with the cooperation of Hyde Sails International, Duckworks Boatbuilder’s Supply of the U.S, Broadwater Marine of Australia, and local boatbuilding materials suppliers such as Zamboply Marine Plywood, Pioneer Epoxy, and Santa Clara Marine Plywood among others. Designed by Batangas-based Australian designer Michael Storer, the Oz Goose sailboat is four meters long and is made from 5-6 millimetre marine-grade plywood and lumber, which can be assembled using one of PHBYC’s consistent boatbuilding material supplier, Pioneer Epoxy. So far, over 50 Oz Goose sailboats have been built in the three island groups of the Philippines by being built from scratch using downloadable boat plans, built to order from authorized builders, and most of them being produced during Family Boatbuilding Weekends (FBW), the signature event of PHBYC, wherein families or groups assemble a boat from a prefabricated kit. 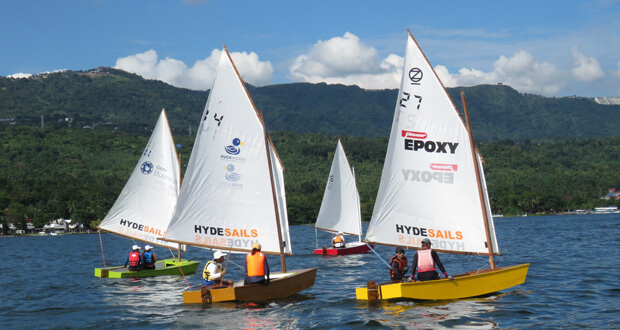 In 3 years, the PHBYC has successfully organized three Oz Goose FBWs in Luzon, Visayas and Mindanao making the Oz Goose the fastest growing sailing fleet in the country.